When capturing this hippo and cattle egret in the bright sun from quite a distance, we didn't realize there was a croc in the photo until we loaded the photo on my laptop. A new warthog visitor with an injured left wart. It didn't appear to be bleeding or oozing. There are a number of ways this injury could have transpired. He's since been back a few times in the past two days. Today, we'd tentatively planned to go to Kruger but when deciding on what to cook for tonight's dinner, I realized a trip to Komatipoort to shop was more important when we were running out of fresh vegetables and other household goods. Instead, weather permitting, we'll head to Kruger tomorrow after getting a head start on the day's post early in the morning. That's the magic of this life we lead...we can do whatever we'd like, whenever we'd like and change plans at the last minute if we'd like. Mom and baby on the banks of the Crocodile River with the remainder of their parade nearby. But changing BIG plans in this life presents a number of obstacles, mainly due to money with deposits (or full fares) paid for holiday homes, flights, hotels and cruises we've already booked. Having control over the smaller daily plans is a wonderful part of being retired and free. Often, we awake with a plan in mind we'd discussed the prior day or evening, to find ourselves simply "not in the mood" to do what we'd discussed. Elephants are frequently found by the river when viewing from Marloth Park. Fortunately, neither of us minds the other suggestions we change plans for the day, even for no reason at all, if we so choose. Of course, we don't change social plans we've made with friends, always adhering strictly to the date, time and location. As we look to the future we realize its imperative we make plans for several time slots and events arising after we leave Kenya in March 2019. This sounds like a long time away but in fact, it's only a mere eight months from now. This giraffe was on the opposite side of the river far from view without zooming in or viewing through Tom's binoculars. The two of us are always counting on our fingers to figure out how long it is until the next adventure, not because we want the time to fly quickly but more to gain of a perspective of how much time we have left wherever we are at any given time. Recently, when Tom was perusing CruiseCritic.com which he does quite frequently, he noticed a posting from a booked passenger for the Baltic cruise we'd booked for August 11, 2019, from Amsterdam to Amsterdam on Royal Caribbean Brilliance of the Seas. Two waterbucks on a sandbar in the river. The passenger couple was seeking participants for an upcoming two-day tour (not overnight) when in port overnight in St. Petersburg, Russia. We'll sleep on the ship but head out each of two days for the nine-hour tours both day of the majestic city. We jumped at the opportunity to participate in the tours which will include a maximum of 16 people which is a whole lot better and less costly than the tours offered by the cruise line. A short time later an elephant leisurely walks passed the two waterbucks. Most cruise-line-arranged tours are on huge buses often with as many at 60 passengers per bus, hardly our cup-of-tea making this smaller group option much more appealing. We committed to participating in the two-day tour from what appears to be a highly reputable company based on reviews, telling the passenger/organizer to let us know when and how to pay the combined around ZAR 7994 (US $600) plus tips for the tour guide. Zooming in for this scene with many elephants on the river. After conducting some of our own research we felt this pricing was reasonable for the two nine-hour tours especially after reviewing the itinerary on the tour company's website here. Our most popular tour–and the most comprehensive tour at the most competitive price on the Baltic–the 2-day Deluxe Tour in St. Petersburg includes two full days of visits to the most sought-after sites, traditional Russian lunches, and an expert but also a personal presentation of the city. This tour is for those who want to make the most of their two days in St. Petersburg. Hermitage Museum (Winter Palace) – Enjoy a guided tour of the museum’s most famous halls, including major highlights such as the Jordan Staircase, the Raphael Loggias, the Pavilion Hall with the famous Peacock clock, and many others, along with the world class collection of artworks. 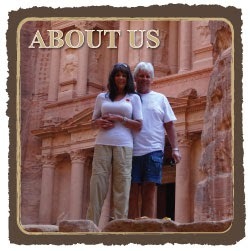 Our tour is designed to give you a thorough introduction to truly one of the greatest museums in the world. Does this tour include "early entrance" to the Hermitage Museum? Church of our Saviour on the Spilled Blood – The iconic Orthodox church where Alexander II was fatally wounded, the richly decorated exterior and the exquisite mosaic interior are a must-see for any visitor to St. Petersburg. St. Isaac’s Cathedral – This is the largest cathedral in St. Petersburg and the fourth largest in the world. This is an awe inspiring structure from outside and from inside. Peter & Paul Fortress and Cathedral – First established in 1703, the original timber fortress was one of the first structures erected in the city. This area has since played an important role in the history of the city and the country, not only for its military significance but also as a political prison, as well as the burial site of the Russian Tzars. Peterhof Fountain Park and Gardens – The summer residence of Peter the Great, this estate feature meticulously maintained gardens and a collection of gold statued fountains that is unlike anywhere else in the world. The Grand Cascade (the park’s centerpiece) contains 64 fountains alone, with the Samson statue at its center shooting a powerful jet 20 meters into the sky. **Catherine’s Palace with Amber Room – This Rococo palace was once the summer residence of the Russian Tzars and represents the peak of imperial opulence. A visit wouldn’t be complete without seeing the Amber Room, which has been completed reconstructed in great detail, some say even more exquisitely than the original. Yusupov Palace – Although not of royal lineage, the Yusupov family was exceptionally wealthy and had great influence in Russia. Their residence, seated on the bank of the Moyka River, showcases ornately designed rooms, stairwells, and a stunning private theatre. A visit to the room where Rasputin was murdered is also included on the tour. We're excited about seeing all of these venues but also in having this arranged in advance by a generous passenger who's chosen to take on the task or organizing it, instead of trying to figure out tours during the cruise itself when Wi-Fi is sketchy and many of the best options are sold out. The mom to the right climbed atop a big rock and the baby tried to follow suit. In this case, we wouldn't care to venture off on our own, as we often do, taking a taxi or in finding a driver. Also, it's a great opportunity to meet other passengers we may not have met on this 2500 passenger ship. Mom and baby crossing the shallow water in the river. We do realize we need to spend more time fine-tuning our itinerary for 2019-2020 and are conducting some online research now. But, its pretty hard to tear ourselves away from living in the moment, thoroughly treasuring the gifts Mother Nature presents to us each day. Another mom and baby as they reached the river bank. May you experience those gifts of nature as well whether it be a bird, a flower, or a sunset. Dust storm gathering in the desert in Las Vegas. For more photos, please click here.